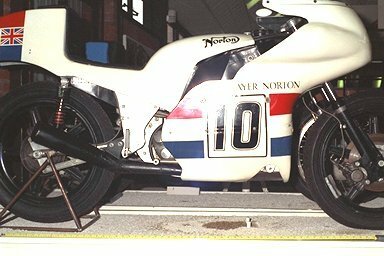 1973 John Player Norton of the type ridden to victory by Peter Williams in the 1973 Formula 750 TT. 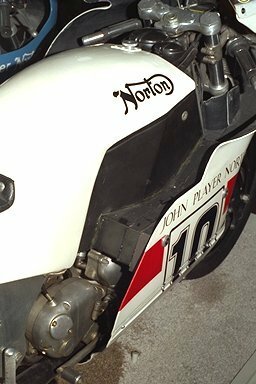 Detail of 1973 John Player Norton showing monocoque chassis. 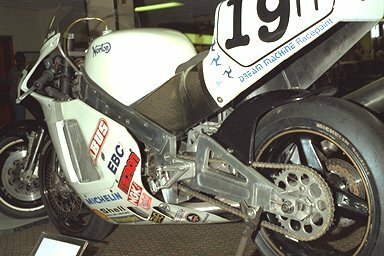 Rotary Norton ridden to victory by Steve Hislop in the 1992 Senior TT. 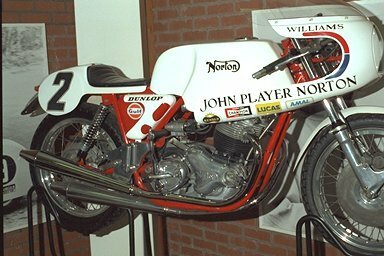 The National Motor Cycle Museum is situated between Birmingham and Coventry, near the National Exhibition Centre at the junction of the M6 and M42 motorways. Open 7 days a week, admission £4.50.